Garcia is participating in positive reinforcement training (PRT), also known as clicker training. PRT is a type of training in which animals get rewards for performing desired behaviors. Using PRT, monkeys like Garcia voluntarily cooperate with procedures necessary for husbandry and research protocols. Such procedures include entering a transfer box during cage cleaning or receiving an injection during their regular physical exam. 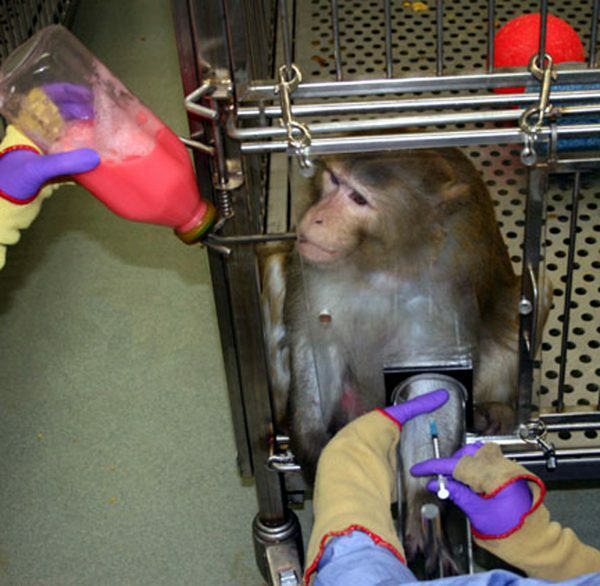 This type of training gives monkeys control over their environment, thereby reducing stress associated with procedures.